As I noted in my previous post, my PM Resources site has been reorganized as an archived collection. 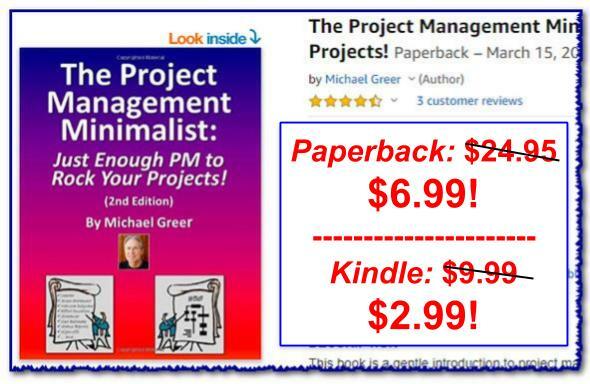 And it's LOADED with good stuff on Project Management (PM), PM Minimalism, working with project teams, and more. You'll find links* to PM tools, videos, audios, position papers, references and pretty much anything and everything I've ever published. Applying PM Minimalism: Manage Your Project with a One-Page Checklist!